Obesity is a chronic and life-threatening disease where a person has excessive body fat that leads to serious health complications. The most widely used method for measuring a person’s health concerning their weight is the Body Mass Index (BMI). BMI is a measurement of an individual’s body fat based on their weight and height. BMI does not distinguish between muscle mass and body fat. Therefore, people with a lot of muscle tend to have a high BMI even though they are not overweight or obese. 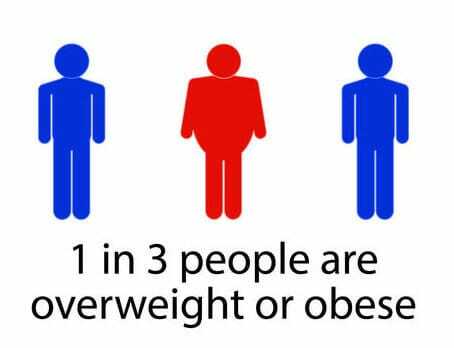 This BMI method works for most people as an indication of whether they are healthy, underweight, overweight or obese. 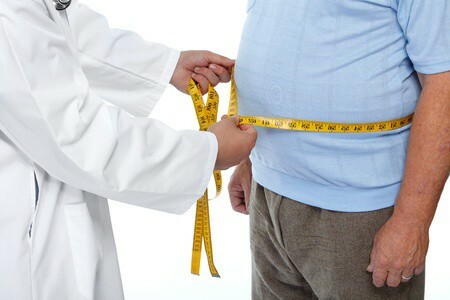 An additional measure is the amount of excess fat that is deposited around the waist circumference. Typically fat that is stored in the buttocks and hips is not a predominantly high-risk factor as compared to excess waist fat. On average, men who have a waist circumference of 37 inches or more and women with a waist circumference of 31.5 inches or more are at a greater risk of developing obesity-related health complications. Morbid obesity is a serious health condition whereby an individual has a BMI of over 40 or is 100 pounds over their ideal body weight. This state of health can seriously interfere with normal body functions such as walking and breathing. Individuals who are morbidly obese are also at a greater risk of developing obesity-related health complications such as high blood pressure, sleep apnea, diabetes, heart disease, gallstones, osteoarthritis, and cancer. BMI can be influenced by your ethnic background. Most individuals with a Caucasian background are typically at a greater risk of being obese or overweight than those who are from an ethnic minority background. 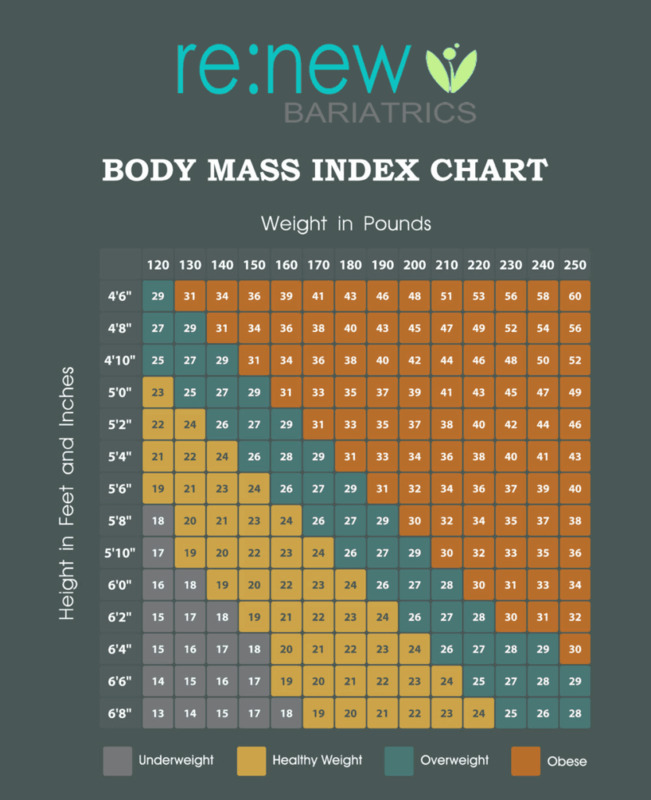 BMI method is ideally used for adults. It is not to be used in children as an indication of whether they have a healthy weight because children are still developing. To check whether your child is overweight, schedule a visit with your GP. Your lifestyle – This consists of your diet, how much physical activity you undertake, and whether you smoke or drink alcohol. Possible underlying causes of obesity – You may be taking certain medication for a particular medical condition that contributes to significant weight gain. Your family history – There are some obesity-related health conditions such as diabetes that run through families. Medical tests are also carried out to determine how at risk you are of developing health complications. These tests include blood pressure, cholesterol and blood sugar and waist circumference. Learn how to undergo affordable Obesity Surgical Treatments in México with one of Renew Bariatrics leading bariatric surgeons. Get Free Consultation with our staff today.